Our order was handled and despatched promptly thank you. We would have no hesitation is recommending your company and would be happy to purchase from you again. If you're looking for a quality 3.5mm Audio Jack Cable, and not just a cheap 3.5mm Audio Jack Cable, then look no further! 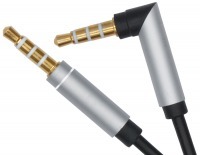 3.5mm Audio Jack Cable products for the best quality AV Accessories at the lowest prices every day! 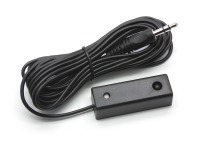 3m Dual Band IR Receiver with 3.5mm Jack + FREE SHIPPING! 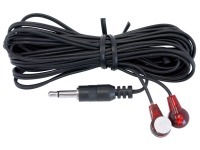 3m Dual Head IR Emitter with 3.5mm Jack + FREE SHIPPING! 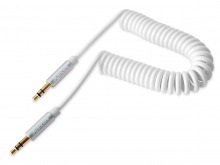 Premium 3m Braided 3.5mm to 6.5mm Stereo Jack Cable + FREE SHIPPING! 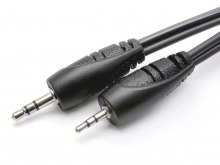 15cm Stereo 3.5mm Audio Jack Splitter Cable with Separate Volume Controls (Male to 2x Female) + FREE SHIPPING! 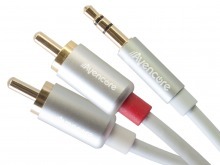 Avencore 20cm Aluminium 3.5mm Stereo Audio Splitter Cable (Male to 2x Female) + FREE SHIPPING! 1.5m Stereo 2.5mm Mini Jack to 3.5mm Mini Jack Cable (Male to Male) + FREE SHIPPING! 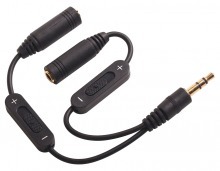 Effortless plug-and-play extensions for any 4-Pole TRRS 3.5mm Stereo/Mic Combination cable or socket. 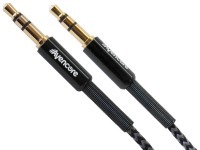 Avencore 4-Pole TRRS to 3.5mm Stereo & Mic Splitter Cable (Female to 2x Male) + FREE SHIPPING! 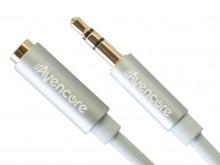 Avencore 4-Pole TRRS to 3.5mm Stereo & Mic Splitter Cable (Male to 2x Female) + FREE SHIPPING! 1m Right-Angle 4-Pole TRRS 3.5mm Cable (Male to Male) + FREE SHIPPING! Amped Classic VGA, 3.5mm Audio & 2x RCA Audio (White Wall Plate) + FREE SHIPPING! 3.5mm Stereo to 3.5mm Stereo Coupler / Joiner (Female to Female) + FREE SHIPPING! 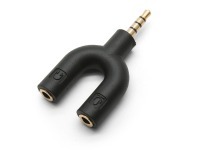 Stereo 3.5mm Socket to 6.5mm Jack Adaptor + FREE SHIPPING! Stereo 6.5mm Socket to 3.5mm Jack Adaptor + FREE SHIPPING! 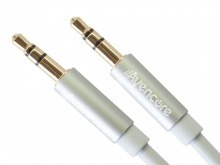 Avencore 3.5mm (Female) to 6.5mm (Male) Stereo Audio Adaptor + FREE SHIPPING! 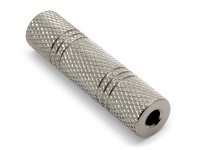 Avencore 4-Pole TRRS 2.5mm (Female) to 3.5mm (Male) Adaptor + FREE SHIPPING! 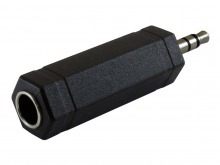 Avencore 4-Pole TRRS 3.5mm (Female) to 2.5mm (Male) Adaptor + FREE SHIPPING! 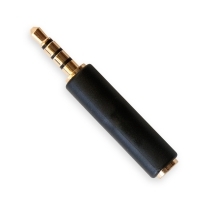 Avencore 6.5mm (Female) to 3.5mm (Male) Stereo Audio Adaptor + FREE SHIPPING! 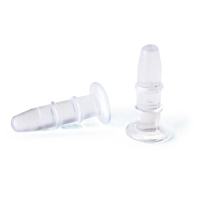 3.5mm Audio Socket Protective Dust Caps (10 Pack) + FREE SHIPPING! 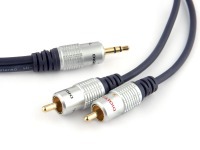 Premium RCA Socket 6.5mm Mono Jack Adaptor (RCA to 1/4" Adapter) + FREE SHIPPING! 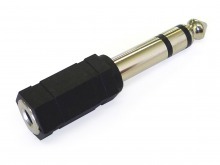 3.5mm 4-Pole TRRS Standards Bi-Directional Adapter (CTIA to OMTP) + FREE SHIPPING! Most Popular 3.5mm Audio Jack Cable! In-Stock & Ready to Ship! Did you know Cable Chick also have HDMI Converters?